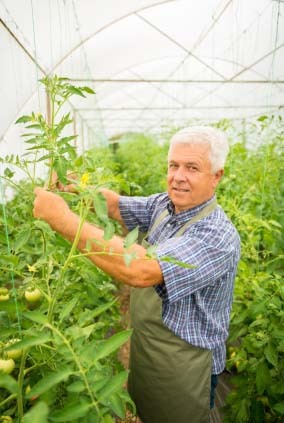 Boomers enjoy gardening and aquaponics creates sustainability in their community! AQUAPONICS TO THE RESCUE. 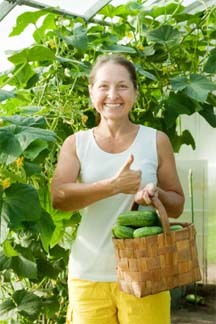 Most Baby Boomers enjoy gardening. 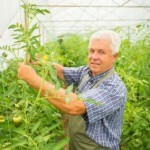 Many of us spent time on our grandparents farms during our childhoods and today, there is a major resurgence in back yard gardens today, but problems arise for Boomers are unable to stoop, bend or till soil. Aquaponics is a great way to re-purpose an entire generation. The idea could even spread to other parts of the world and maybe all seniors and all people of any age or educational demographic could be seen as productive members of any society and all because of Portable Farms® Aquaponics Systems. The Boomers are the largest group ever to reach retirement age and are now starting to do just that, retire. But, a very large percentage of these so called ‘Boomers’ are not prepared for retirement and are going to need help in their golden years. 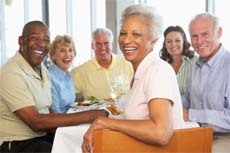 10,000 Baby Boomers a day turn 65 and that trend continues until 2030. Boomers are the best educated generation in history, we have had the most freedom and the most fun of any generation in history, we/are also one of the most creative generations in history (Internet and technology, science and medical contributions, transportation and distribution advantages), we are also in charge of building a large part of the world we live in today, but we have also suffered under the delusion that we would always be young, healthy and have unlimited energy forever. Silly people. Time is finally getting to those of us in the Boomer demographic (those born between the years 1946 and 1964). We are getting older, our health is not as stable as it was and Boomers are looking for ways to reinvent themselves to stay busy and make a difference. After all, this talented group does have a huge reservoir of talents, skills, knowledge and contacts that society could use if only there was a way to harness their interests and they could profit from their efforts. As Boomers lead quieter lives as they move into a ‘less productive’ stage in their lives, they still have valuable contributions to make to society in productive ways. They can form groups within compounds, er . . . retirement homes, and work together (which offers social interactions) to raise their own food and sell the surplus to pay for their room and board. After all, most Baby Boomers have had childhood experiences on a family or relative’s farm and we remember what ‘real food’ tasted like when it was harvested fresh and full of nutrients, so ‘fresh healthy food’ is a commonality among us. The technology exists today (Portable Farms® Aquaponics Systems) that can help the residents become very productive at raising their own food. These aquaponics systems are very easy to operate, mostly harvesting and planting at ‘waist high’ Grow Tables and a few of the younger and more active people in the group could be in charge of the regular maintenance routines of the equipment (a few minutes a day, at most). The Grow Tables and can be adapted even to those with disabilities or require wheel chair access.